Have you noticed how popular infographics are? You probably have. They’re everywhere! And for good reason: An infographic is one of the best ways to communicate a message and spur people to action. So, when it comes to food safety, infographics can serve as super effective resources to help us all spread the word on how to prevent harmful bacteria from contaminating the food we eat. Keep reading to learn more and take action! 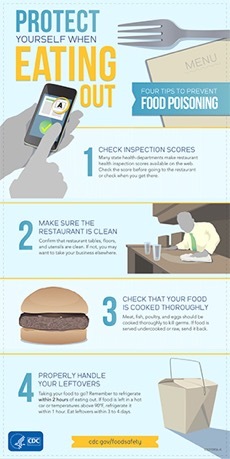 Infographics are graphical representations that convey data or information in a visual format—just like the one we’ve featured above on how to prevent food poisoning when you’re eating out. Infographics do a fantastic job communicating complex messages in a simple, concise, visually appealing way that draws in readers. The reason for infographics’ popularity is because they flat out WORK. But why, exactly, do they work? Because, according to research compiled by 3M, visual content is processed a whopping 60,000 times faster than text. Their research also points out that visual aids have been found to improve learning by up to 400%. At the very core of what makes infographics work is how they help tell a story. Our brains are far more engaged in storytelling than looking at a list of facts, for instance. And the use of images in infographics is a huge factor. Images pull people in. They turn distracted readers into engaged ones. Especially in the information age we’re living in, people are drowning in words. Images give your over-stimulated brain a break. For any given message—like one about food safety—images crank up impact giving corresponding words the ability to attract more people, hold more attention, and create more action. HOW CAN YOU USE FOOD SAFETY INFOGRAPHICS? 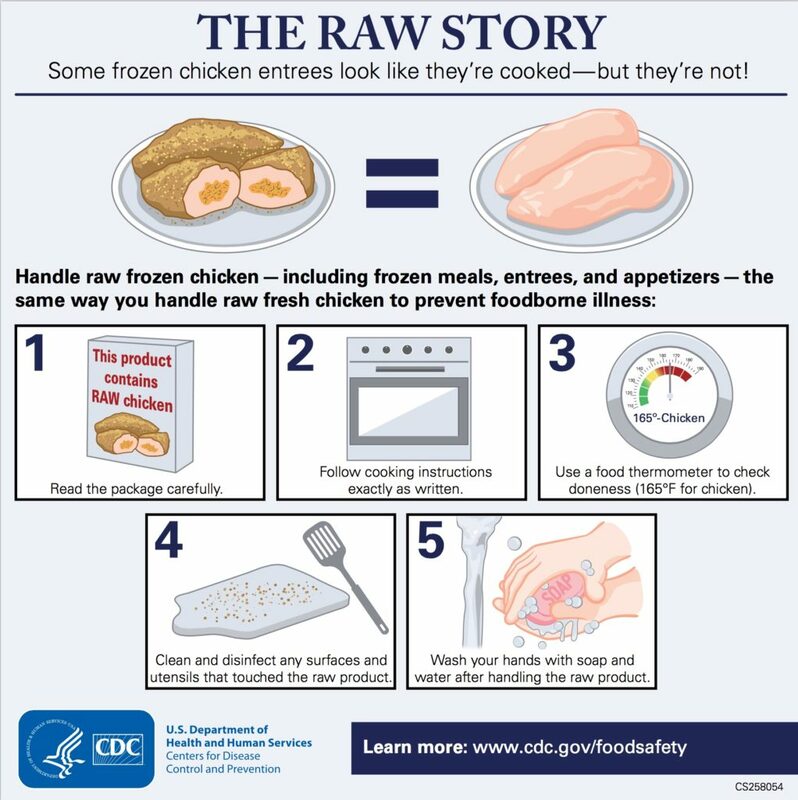 To help encourage safe food handling practices, prevent foodborne illness and save lives, you can share food safety infographics on your social media networks like Facebook, Twitter, Instagram, and LinkedIn. You can find several good infographics on the Centers for Disease Control and Prevention website. And we’d love to hear your feedback on which food safety infographics you’d like Stop Foodborne Illness to create! B: Could It Be Foodborne Illness? Email Stanley Rutledge, Community Coordinator, at srutledge@stopfoodborneillness.org to let us know. Each person who sends in their choice by March 22, 2018 will be entered into a raffle to receive a special food safety prize package from Stop Foodborne Illness!